Maile is a partner in the Firm’s Litigation; Fashion, Luxury & Retail; and Motor Vehicle Groups. Maile has two decades of experience in complex commercial litigation, litigating matters involving fiduciary duty, data privacy, breach of contract, insurance coverage, real estate and employment discrimination disputes throughout the country. Since joining the Firm, Maile has litigated on behalf of, and has counseled clients in all manner of commercial litigation, including in the fashion, luxury brands and cosmetics/beauty space on issues relating to contract disputes, data privacy and biometric information protection and trademark infringement. In addition, she has represented automotive manufacturer clients on various aspects of their businesses, including dealer agreement modification, implementation of incentive programs, add-points and relocations, changes to areas of sales responsibility, addressing performance standards, allocation, and other issues. Prior to joining the Firm, Maile served as Assistant General Counsel of Litigation at Blue Cross Blue Shield of Illinois, where she managed and directed complex commercial litigation filed against the Company, prepared and defended executives for deposition and trial, counseled the business on litigation and other risk and recommended approaches to minimize such risk. In addition, Maile spent a substantial portion of her time advising the business on issues relating to cybersecurity, data privacy and insurance coverage. 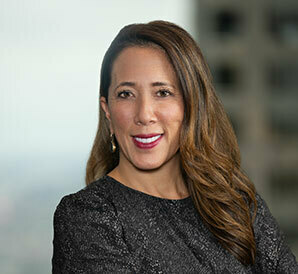 While a partner at the litigation boutique of Grippo & Elden, Maile counseled and represented clients in all aspects of the litigation process from discovery through resolution by favorable settlement, trial, alternative dispute resolution and appeal. Maile ran and managed a series of the firm’s largest and most complex cases, including representing 19 members of the top management of Tribune Company and its subsidiaries and serving as liaison counsel for more than 100+ defendants in the fiduciary duty adversary action filed against Tribune’s directors, officers and former advisors. Maile began her career as a complex commercial litigation associate at the law firm of Jenner & Block, where she represented policyholders in insurance coverage matters, litigated numerous commercial contracting disputes, defended a patent infringement claim, tried a preliminary injunction hearing to enforce a non-compete provision and first-chaired multiple pro bono hearings. Maile has devoted her career to protecting victims of persecution in a broad range of pro bono immigration matters. She has been a member of the Leadership Council of the National Immigrant Justice Center since 2003 and has obtained grants of asylum, legal permanent residency, U-Visas, DACA and VAWA approvals for dozens of persons fleeing persecution and domestic violence from around the world. Client Alert: Are You Ready for GDPR on May 25?